Last month I had the pleasure of spending the day in one of the most inviting libraries I’ve ever visited: the Washington branch of the Middle Georgia Public Libraries (MGPL). The stately building opened in 1923 and has been named one of Georgia’s most beautiful public libraries. Cascades of warm natural light make it a place you want to spend your time and grow your mind. 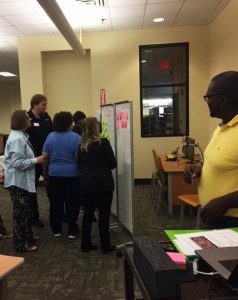 I was there to participate in a News Co/Lab-sponsored “train-the-trainer” workshop for librarians from throughout Middle Georgia. 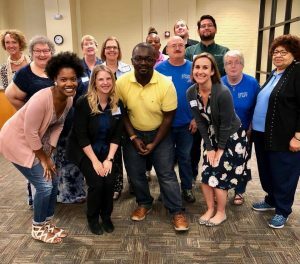 Our partners at The Telegraph in Macon and Mercer University’s Center for Collaborative Journalism (CCJ) identified early in our planning the importance of bringing the library into their community collaboration. As important cornerstones of civic life, libraries provide essential tools to help communities meet their information needs — including helping people navigate our digital information ecosystems. And though news organizations face historically low levels of public trust, libraries continue to be viewed as highly trustworthy information sources. Our Macon team, including Telegraph Senior Editor Jennifer Burk, CCJ’s Engagement Reporter Sonya Green and Lauren Mullins of MGPL, partnered with Michael Spikes, director of digital resources and trainer for the Center for News Literacy (CNL) at Stony Brook University, to bring a daylong version of CNL’s internationally renowned news literacy training to the library. CNL previously piloted similar training with the American Library Association through the Knight Prototype Fund; we modified the program to fit the needs of our group. During the morning introductions, participants shared their reasons for attending the workshop and why they think news literacy is an important topic for their libraries. 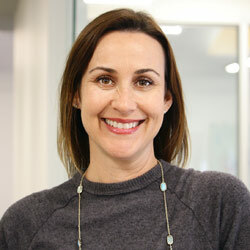 Each recognized that many of their patrons — young and old — need some help locating and using credible news and information sources. Several said they wanted to add a news literacy course to their adult programming. As one participant put it, “One thing my community needs is a librarian who can tell patrons what is false … I’m tired of ‘fake news.’” Results from the community surveys we conducted with the Center for Media Engagement at the University of Texas at Austin support participants’ concerns: The majority of Macon survey respondents were confident they could spot a fake headline and distinguish between a news and opinion story, though only about half actually could when tested. I was not surprised that the participants were a lively audience who asked important questions and shared keen insights. After all, librarians are highly skilled information-seekers whose bag of tricks looks a lot like journalists’. Librarians are experts in information literacy, a set of skills that the American Library Association describes as enabling people to “recognize when information is needed and … to locate, evaluate, and use effectively the needed information.” This overlaps with CNL’s definition of news literacy: “the ability to use critical thinking to judge the reliability and credibility of information, whether it comes via print, television or the Internet.” It’s not a stretch to imagine that when these groups join forces to help combat misinformation, the outcome will be a sum much greater than its parts. I’m excited to see our library partners stretch their services to help make the news — and the people who report the news — more accessible to their communities. In the coming months, I’ll be working with participants to help finalize and implement their lesson plans, and measuring the impact of the different activities. One obvious measure will be how many people attend news literacy sessions across the participating branches, but we also hope to gather more information about what patrons want to know about the news and how the training changed their perceptions of the news. 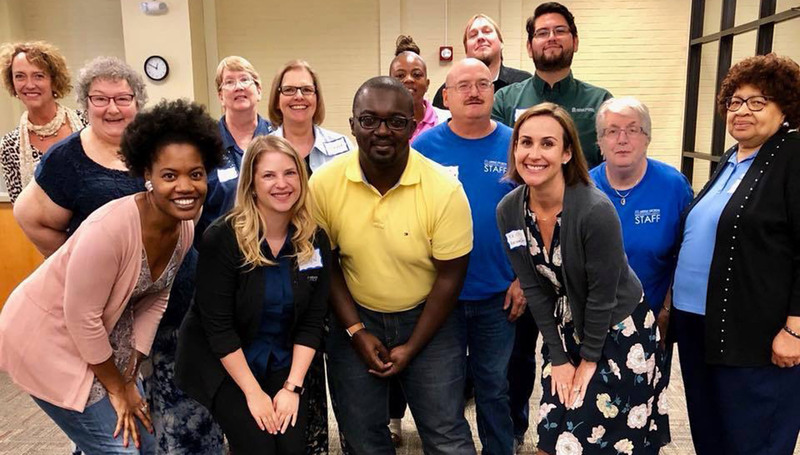 We will also work with our Macon newsroom partners to engage participants in the journalism process, through activities like asking — and possibly answering — questions through Macon Me Curious, a collaborative journalism project powered by Hearken, one of our engagement partners. 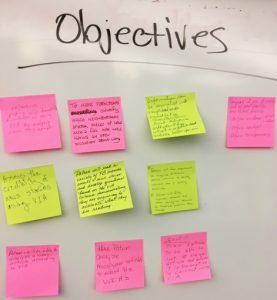 We hope to use this as a model for future community news literacy trainings, one of several modes the News Co/Lab is exploring for delivering news literacy education beyond the traditional classroom.